• Do you have any needs that make studying more difficult for you? • Have you had some extra assistance in school? • Not had help at school, but feel you may need it studying at a higher level away from home? What can I do to help myself now? Telephone, email, or visit the disability support office for your college or university. You may never have heard about NADP, the National Association of Disability Practitioners – in fact, doing a Google Search for NADP brings up a host of interesting options such as a complex biochemical protein, the National Anti-Doping Panel, Novel and Dangerous Pathogens, and something to do with teeth! But we are actually a professional organisation, with members working with disabled students across post-16 education. Our members work in offices with different names, but just search the college or university website for ‘disability’ or ‘student support’. Don’t worry about the name though, our members all have the same aims: to level the playing field as much as we can, remove as many barriers as we can, and make sure that, to the best of our ability, students are able to succeed in their studies and go on to have the best start possible to their career and life. How do we support students? • Many of us work in universities or colleges to assist and advise disabled students to access funding, for example, make the most of their courses, or to encourage inclusivity – with the aim of making buildings and courses open to as many people as possible. • Some of us, such as dyslexia tutors, sign language interpreters and note-takers, work outside universities and colleges, and may provide support directly to students. • Others work with students, to assess their support needs as they head to universities and colleges. Altogether, we aim to ensure that students get the right support as, when, and where they need it. It is always wise for new students to find out about the support, even if you decide you do not need it immediately. You do not want to have to try to get support urgently if you do need it. Many people imagine that the student journey through university is a straight and easy path: you apply, you start, you study, you have fun, you graduate, and you get a fabulous job! This is rarely the case for any student, of course, as unexpected things happen along this journey. 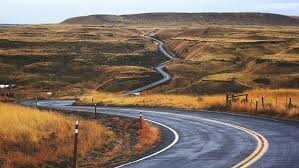 The majority of students find their journey is a bit more of a winding lane, filled with many ups and downs. The university journey is meant to be a challenge, which makes it all the more rewarding. In addition to studying, students have to be great at time management, they have to be able to manage others, plan their work and play, develop resilience and strength, learn how to recognise their limits, and ask for help when necessary. For disabled students, this journey may be even more challenging, and it is our job to make sure we provide support and advice to make sure the challenge is fair. Whatever level of skills you may have already developed, appropriate support should be there for you – your job is to ask for that support. How can your disability adviser help? At school you may have had a SENCO who was able to assist with your studies. Now you will have an adviser, who can support you from the moment you apply, until after you graduate. You may be looking at courses and worrying about how accessible they may be. A blind student may love history, but choose another subject because they are concerned about the number of books they will have to access. Our members can offer support, advice, and potential solutions that may allow you to study the subject you love. It is always worth asking. 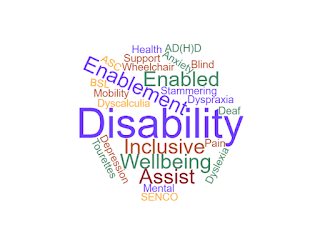 Our members will also help you navigate the complex world of Disabled Students’ Allowances – a grant available to contribute towards the costs of study-related support for those students who are eligible. And if you aren’t eligible, then our members will do their utmost to provide the same levels of support in a different way. You may need to produce a diagnosis or other evidence to support your request for some forms of assistance, such as financial help or examination changes, but universities operate on a Social Model of Disability. This means they believe that disability is caused by the way society is organised, rather than by a person’s impairment or difference. Our members look at ways of removing barriers, so that all students can be independent and equal in society, with choice and control over their own lives. What about a university away from home? Is the accommodation accessible by wheelchair? How far it is to travel? How will you get there? You may have to think about personal care support and dealing with Universal Credit. Our members are really experienced in this area, and can offer advice and support. Our members can’t solve all of life’s problems, but they can help with making sure that you feel supported and your study related needs are met – giving you the time to make friends and to enjoy your new life! Each year brings new challenges – increased workload, study placements, field trips, and exams – but our members are there to advise and support you, when needed. If they can’t determine a way forward, they consult the wider NADP community for ideas using our email support forum, or by chatting at workshops and conferences. NADP members are there to help you navigate through the strange world of mitigating circumstances, examination accommodations, and study interruptions. They are there to support, challenge, and pick up the pieces on occasion. Graduation! You got there! Disabled students often graduate at the same time as their friends but, sometimes, our members have supported their negotiation for some extra time. They just graduate a little later. Good luck with your new journey from NADP and all our members!